Basically all you need to know right now is that my skirt twirls. And that I just had the most marvelous long weekend. Which included, but was not limited to: husband catching our stove on fire. Twice. One day spent sleeping in till 10. And one spent getting up at 6. A huge laundry and cleaning sesh. Pretty sure I got high on bleach that day. Dinner with sissy, mom, husband and cousins at the fanciest restaurant in town -- Olive Garden. We really roll out the red carpet for our special guests around here. Lots and lots of husband kisses at a sweet little shoot with my friend. Desperately wishing for a weekend repeat. Like maybe 5. And then I'll go back to real life. If people feel like that's completely necessary. glad i'm not the only one ignoring homework! perfect skirt! i have been looking for one for ages. also your entire outfit is great. Darling skirt and the perfect little cardigan for a pop of color...love this look and skirts that twirl! it sounds like a perfect weekend! I'm in desperate need of many consecutive long weekends! And i'm also ignoring my poor CRUEL homework, even now! What a great outfit and NECKLACE! i've been ignorning homework too.. love that skirt. the best part of these is your twirling skirt! lovvve it. and yes, i also have been ignoring hw. gahhh. Don't you hate how little vacations make you want more?! At least we get Spring Break soon. ish. pretty sure your outfit is the cutest thing i've seen all day. yep. it is. love your twirling skirt and your mustard yellow cardigan is to die for! That skirt is the greatest! Everyone needs a good excuse to wear a skirt that twirls! So glad to hear you had an awesome weekend! loving that skirt!!!! if i wear a skirt or shirt that twirls my love makes me twirl for me... many times lol. but your outfit all in all is adorable! Love the outfit, especially the skirt! So cute! And I agree to the weekend repeat...I'm trying to focus on homework and it's just not happening! so cute! & i need a serious laundry "sesh"... it will be the death of me! oooo that skirt looks like all kinds of fun! and I like any activity that makes snow fun! At least there's the bachelor to look forward to tonight! It always helps the weekends come faster when you have little events to enjoy during the week. Cute outfit! There are never enough pics of you and your cute ensembles though! Do more than 3 pretty please! I totally agree with the need for a weekend repeat... had reading break last week and I was so not excited to return to real life today! Thank goodness I did some shopping to ease me into my week! love this outfit! the length of the skirt is perfect. i'm seriously loving your pictures lately! major props to the hubs! you look gorgeous! My favorite outfit so far!! I love, love this outfit. One of my favorites you've done! ohmygoodness. this is such a great outfit. love the yellow and stripes! and cheers to procrastination and needing more long weekends! I had a pre-spring cleaning and procrastinating weekend too! Love the color of your cardigan. okay I need this skirt in my like asap. Don't twirly skirts just make you feel so feminine? And real life is overrated. Let's just live in three-day weekends. That sounds like a FANTASTIC weekend. You are so darling in that skirt! It's a very flattering outfit. I hope you have an awesome week! Love love love your little yellow sweater, so cute! Wow your week-end sounds like it was pretty awesome! Oh and I am now officially on the look-out for a skirt that twirls like that....I miss the days when I had a few such pieces to pick from! I adore your twirly skirt, actually I adore you whole outfit. Sounds like an awesome weekend. I want to try snowmobiling! We don't get enough snow here in KY. Hope your week is just as fabulous. This is my one of my favorite outfits that you have posted so far. Actually, it may be my #1 fave! Reason why we would be friends/why you should follow my blog. lol. 1 because I am moving to DC in May too. well I am either getting a job there or i am moving in with family. 2 because I procrastinate on homework 3 because i could take you on fun date while the hubby is working 4 because I love the hussy and her cute husband and she love me and my maybe one day military husband back. I pretend i am making post roast and I really cant but boyfriend pretends its good and I went to unc-Greensboro but i transfered to go to school at the beach. lol. anyways your fun!! haha I didn't do any hw until today, not that I am proud of it but oh well, yay to procrastinating! Just when I thought you could not be more adoreble you show up with that twirling skirt, the lenght is just so pretty on you, loved the stripes and bright cardi, In love with it! Have a nice one dear! Your skirt is gorgeous! I looooooooove it! Is it weird that I am trying to decipher the titles of your books from the pictures? Oh my goodness, I love your skirt! i love love love the twirl... and the yellow. and the fact that im also still continuing to ignore my homework. and i need about 5 weekend repeats myself. Can I have that outfit? And that hair-do? Everything about your look is so fantastic! i love your new twirl skirt! when you learn how to put weekends on repeat without weekdays, please share with me. Bunz and I are in major need of some sleep! I am in love with that skirt. & necklace. And anything yellow, which means I love your sweater as well. I understand Olive Garden being the fanciest restaurant. I attended a small, Christian college in the world's smallest, middle-of-nowhere town. Treating visitors to a good time was a straaain. TWIRLY SKIRTS ARE MY FAVIEEEEEE!!! This is my favorite outfit you have shown us! Twirling skirts are the best, and that outfit is darling! ...As are you. I ADORE that skirt, I'm loving that color combo right now! You look stunning, what a great weekend. i love this outfit so much! can i have it??? Looove that skirt! And the whole outfit combination! I love the outfit. I think yellow is slowly becoming one of my favorite colors. Oh I adore this outfit so so much! Your skirt is amazing and the mustard cardi with the striped top is lovely. That is a GREAT twirly pic! You look lovely! Love the yellow cardi! And the twirly skirt is amazing. who doesn't love a twirling skirt? agreed. long weekends should happen more often! love the yellow paired with black and white, so cute. That skirt is amazing, I love it! I love that outfit, especially the skirt and cardigan! Sounds like you had a lovely weekend!! twirly skirts remind me of when i was little and used to wear dresses every day! one of my fav. outfits of yours, for sure. ooh! it was a nice weekend then! Probably one of my very favourite outfit posts of you so far! Love the twirly skirt! Another favorite outfit! I need to find a belt long enough to tie...mine are all too stiff or short! Anyhow, you look just lovely! love the skirt and dijon sweater! I adore your twirley skirt! Everything about this outfit is perfect! 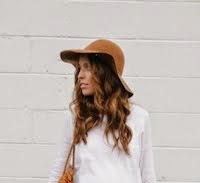 I also noticed thay make this skirt in a pinkish cream color perfect for pretending I am Jennifer Grey in Dirty Dancing! Love love love your outfit! Yellow and black are wonderful together! You always look so amazing, that skirt is beautiful! Thanks for all the inspiration! i am in love with the color of that sweater....and the whole outfit! just wanted to let you know! best. outfit. ever! seriously I love all your outfit posts but absolutely adore this one! This outfit is one of my fave fave faves!! Because I love mustard yellow, stripes, that necklace & skirts that twirl. A perfect 10! Love this outfit. Super cute as always. such a fun skirt! love the stripes with the mustard yellow!!! You look lovely and that sounds like a perfect weekend! I love the twirly skit . . . super BLACK SWAN and fun! "One size fits all" twirly skirt?? Yes, please! Totally erased my fear of purchasing without trying on. Thanks for the link. I absolutely loveeee that yellow sweater!! LOVE this look! There's something about stripes and mustard that really work :) You can never go wrong with a twirly skirt! I'm in love with that skirt... in fact, I'm going to have to purchase it... now. And I love the rest of your outfit too! Loving your twirl picture, you look beautiful!!! You look amazing in yellow!!!! I adore that skirt. I love the whole outfit on you. I'm in love with your yellow cardigan!!! This is one of my favorite outfits of yours! LOVE that skirt! This outfit is sooo cute! You should do more hair tutorials! love that skirt! i've recently been looking at a similar one on yesttyle... do you recommend the shop? thank you! How is that your casual weekend outfit? You look amazing and so put together! oooh, i love this on you! so fancy pants, girl! super cute. adore this combo of colors and the see through-ness of the cardigan! SO CUTE! Okay, now yellow is my fave color on clothes, only when it looks this good!!!!! You look so Adorable girl!!!!! Eeep! Loving the skirt and the bright pop of yellow! I was imagining a color combo like this in my head but I think it looks way better on you!! Ps-Is that cardigan really mustard? I have a cardigan from JCrew and depending on the light it looks a little on the greenish side? I think their description was something like golden chartreuse or something! i really love your sweater! sydney--just checking in on your blog and i am inspired as always! Just got my skirt. Wore it today! I love it so much! everything about this outfit is lovely!! i love the whole outfit.. would take it just as it is.. sounds like a fun weekend for you.. mine was all about relaxing out of town with the family and extended family.. very good time all together.. happy to be your newest follower!